Brushing and flossing can prevent many cavities, but teeth in the back of the mouth can be difficult to clean, especially for children. The molars have rough and uneven surfaces that make them ideal places for food particles and bacteria to accumulate. When food particles come into contact with bacteria in the mouth, they form acid that attacks the teeth and forms cavities. Fortunately, there is a simple but effective way to protect molars from decay. A pediatric dentist can place sealants over them. Sealants are thin protective coatings that can be made from plastic or other materials. Sealants are placed over the chewing surfaces of the molars to keep food particles out of the nooks and crannies and protect them from acid attacks. Sealants can prevent cavities or stop early tooth decay from getting worse. Sealants are extremely effective. They have been shown to reduce the rate of cavities in children’s molars by almost 80 percent. According to the Centers for Disease Control and Prevention, children who do not have sealants have almost three times more cavities than children whose molars have been treated with sealants. The earlier your child gets sealants, the better. The first molars usually erupt around the age of 6, and the second molars come in around age 12. It is best to seal those teeth as soon as they erupt so cavities never get a chance to start forming. Sealants can also be used if your child is starting to develop a cavity in a molar. A sealant can prevent the cavity from getting worse. Some sealants are clear, which can allow the pediatric dentist to monitor the tooth and make sure the cavity is not getting bigger. Sealants generally last for several years. Your pediatric dentist will check the sealants during routine exams and will reapply them if necessary. The process of applying sealants is quick and painless. 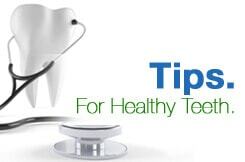 The pediatric dentist will clean and dry your child’s tooth and then apply an acidic gel. The gel will create a rough surface on the tooth to help the sealant bond to the tooth. The dentist will rinse off the gel after a few seconds and dry the tooth again. Then the sealant will be applied to the grooves of the tooth and hardened with a blue light. Sealants are safe. Aside from a potential allergy, there are no known side effects. Sealants contain a tiny amount of BPA, but it is not enough to cause your child any harm. Sealants can prevent cavities in the hard-to-reach molars. They are effective, safe, and painless. We at CT Pediatric Dentistry strongly recommend that you have sealants placed on your child’s molars to prevent cavities that could require fillings or possibly extractions later. Contact us today to schedule an appointment for your child.